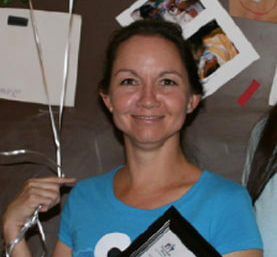 Congratulations to Sunni Lopez, Pre-K teacher at the Ocotillo Early Learning Center, Sunnyside Unified School District. 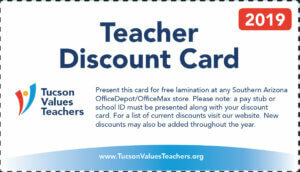 Sunni is this month’s TVT/OfficeMax Teacher Excellence award winner. Ms. Lopez was nominated by Tia Tsosie-Begay, a parent of one of Sunni’s students and a former colleague, who wrote: Ms. Sunni is one of the most caring and dedicated teachers I know. I’ve worked with her as a colleague and was floored by the classroom she created for her kids. She is knowledgeable about content and early childhood development. Her classroom was so cozy that I decided to enroll my child in her class when she turned four. My daughter adores Ms. Sunni. She says that she likes to sing and read books. And she likes to learn about butterflies. Ms. Sunni always has children at the center of her practice. She is a born teacher. Kudos to you, Ms. Sunni! Keep up the outstanding work!